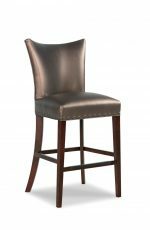 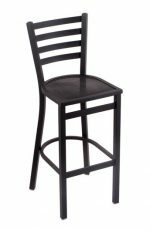 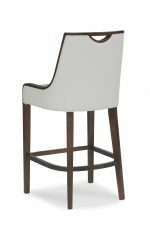 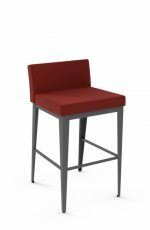 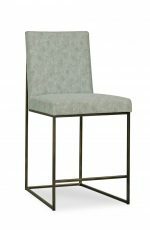 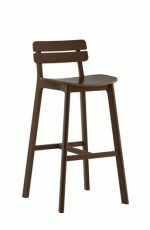 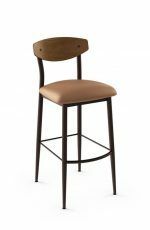 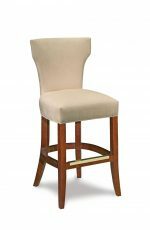 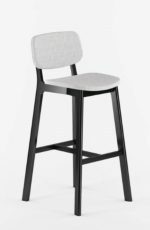 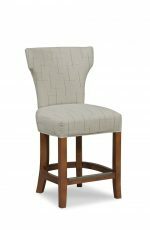 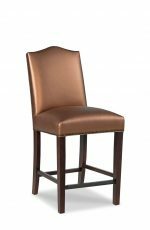 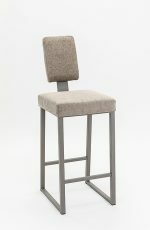 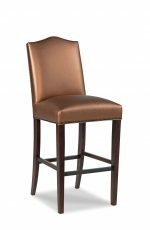 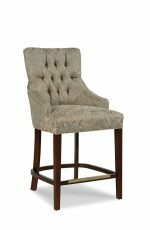 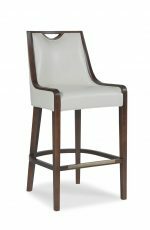 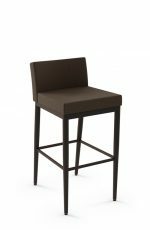 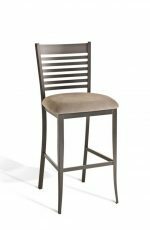 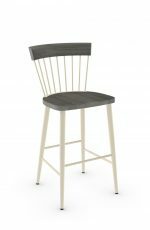 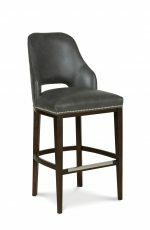 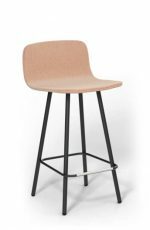 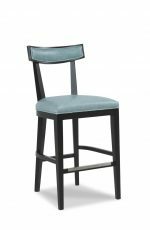 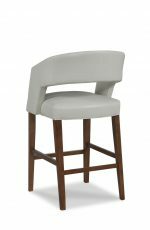 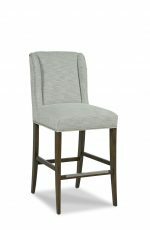 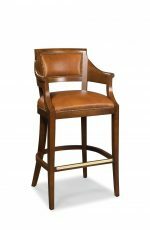 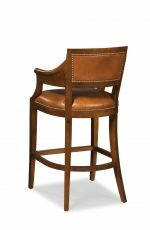 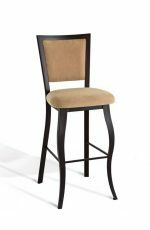 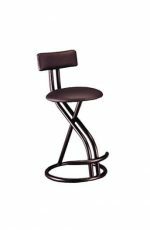 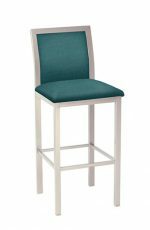 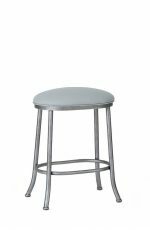 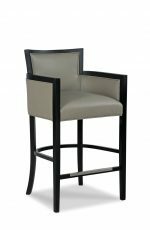 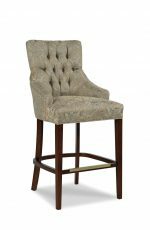 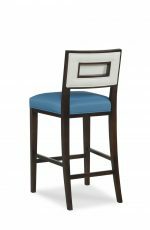 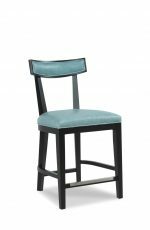 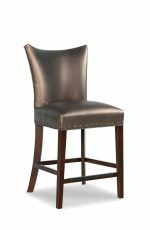 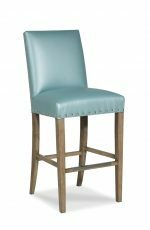 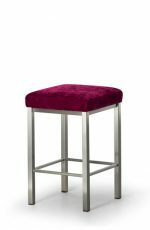 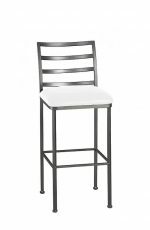 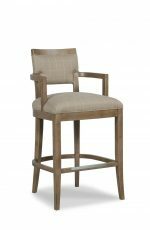 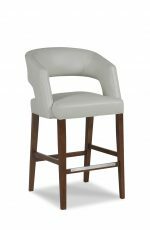 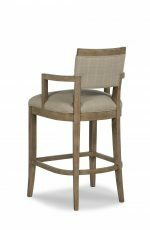 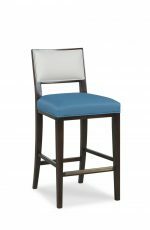 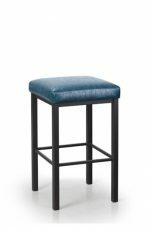 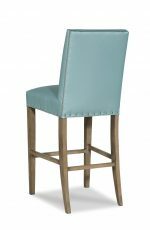 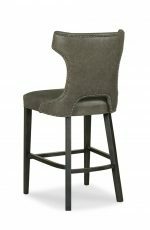 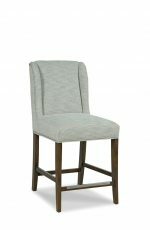 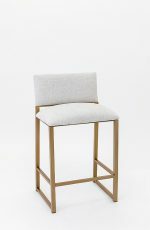 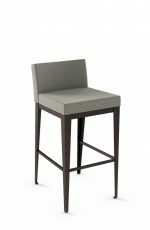 Non-Swivel / Stationary Bar Stools • Barstool Comforts - Free shipping! 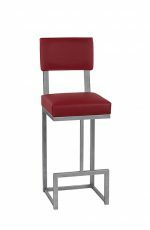 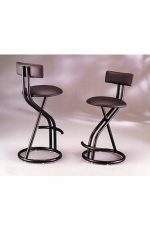 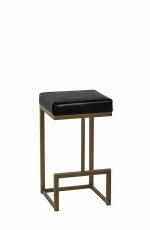 Stationary bar stools stand still, they do not swivel or turn. 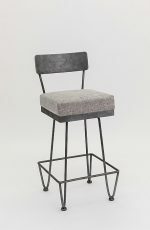 The legs usually go straight down from the seat and don’t flair out. 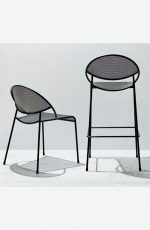 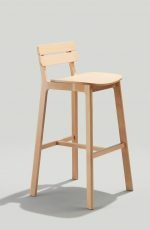 Because there’s no swivel mechanism, there’s no gap between the seat and the base of the stool. 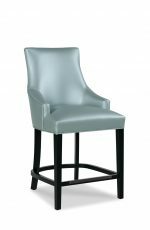 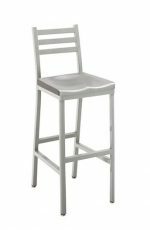 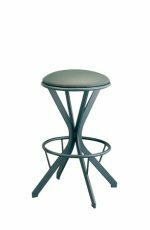 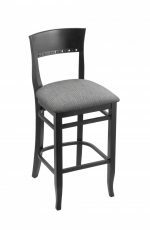 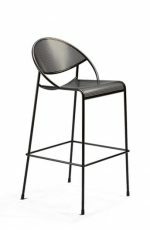 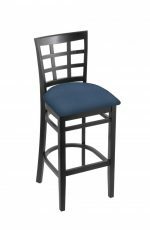 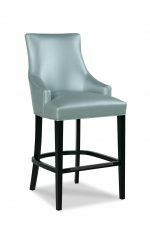 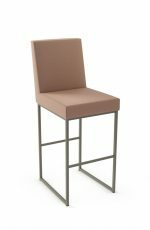 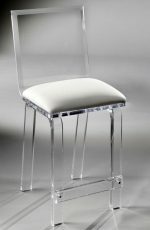 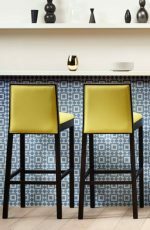 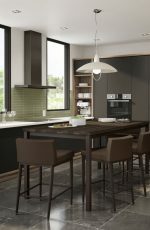 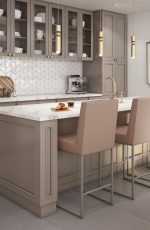 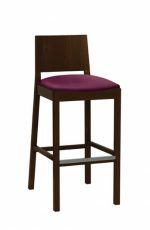 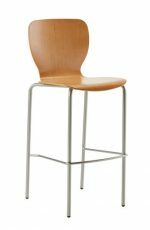 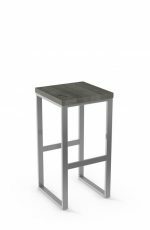 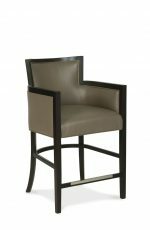 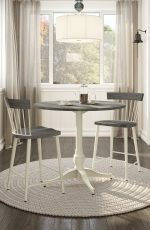 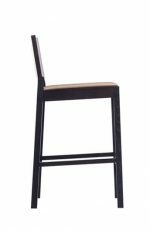 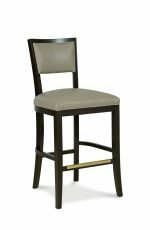 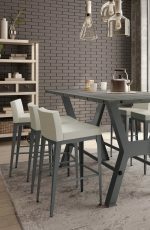 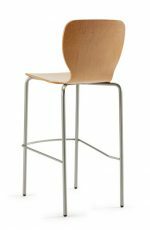 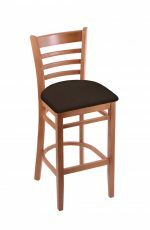 Stationary or non-swiveling stools often have a sleek look because they don’t flair at the bottom. 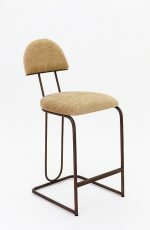 This can help you keep a neat and clean look in your room. 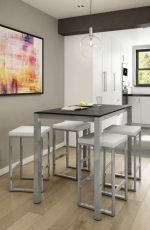 Stationary stools are also neater by design — they usually have straight, clean lines and aren’t as wide as swivel stools. 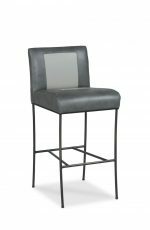 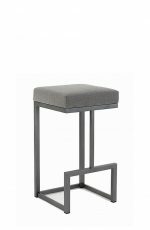 Stationary bar stools tend to only have a footrest on the front of the stool, because the fixed seat keeps you facing in that direction. 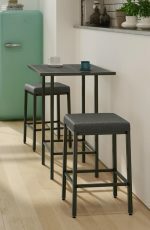 Stationary stools go nicely next to a wall or in a corner, since they don’t swivel and don’t need to be pulled away from the wall when in use. 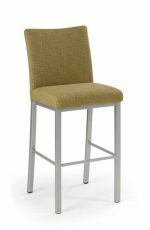 Sometimes people turn swivel stools until the back bumps into the counter or the wall. 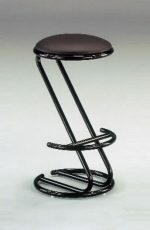 This happens most often when they sit or stand. 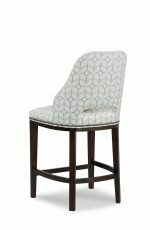 These bumps are less likely to happen with stationary stools, because the backs of the stools don’t swivel. 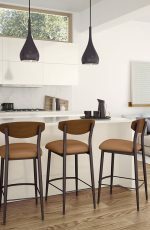 That’s why we suggest padding swivel stools where they would bump a counter. 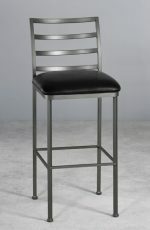 Just like chairs at a table, you’ll have to straighten your stationary stools to keep up a neat appearance. 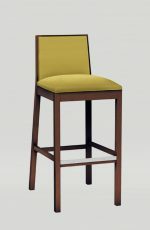 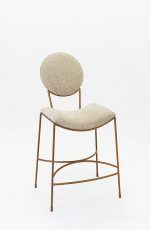 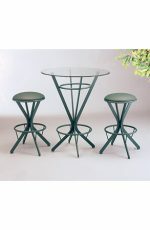 This isn’t a big drawback, though, it’s just part of the style of non-swivel stools. If a child tries to climb into a swivel stool, the seat can spin and create a falling hazard. 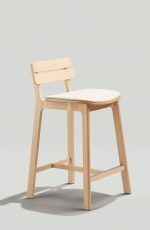 With stationary stools, though, the base and seat are more stable for little explorers. 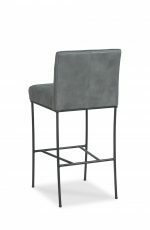 Our non-swivel bar stools don’t need any assembly — they arrive at your home in one piece, fully put together, because there are no moving parts. 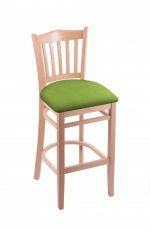 It’s easy to remove your stool’s padded seat for re-upholstery. 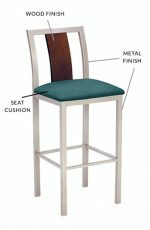 Just remove the four screws, cover your fabric over the top, and staple-gun the overlapping fabric to the bottom of the seat. 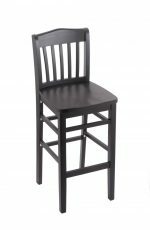 Re-attach it with the four screws and you’re done. 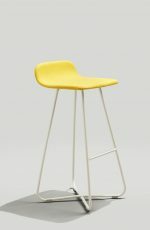 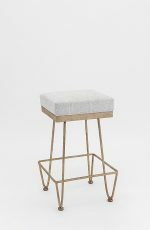 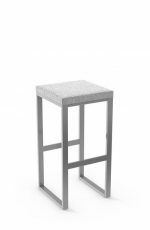 The parsons stool is a popular stationary stool. 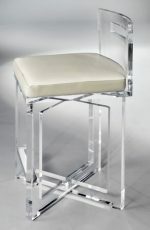 It has a full padded back and a padded rectangular seat. 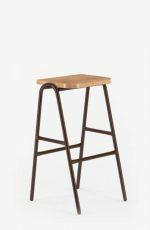 The only visible wood or metal on the stool is on the legs. 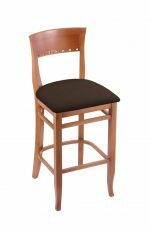 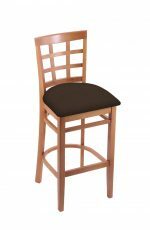 Parsons stools come in traditional or contemporary style, with all types of upholsteries. 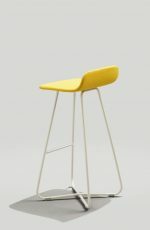 What does it feel like sitting in a stationary stool? 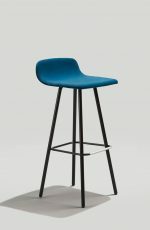 Stationary stools usually give you a straighter posture because the backrests are farther forward than on swivel stools. 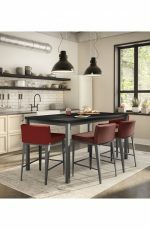 Many of our customers say that they rarely lean back in their stationary stools because they use them while doing something on a counter – eating, crafts, using a laptop, etc. 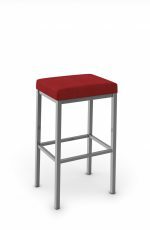 As you can guess, stationary stools are great for working because they help to keep you alert. 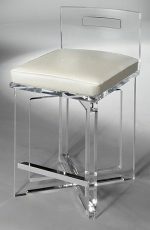 Swivel stools lean back a little because of the swivel mechanism under the seat. 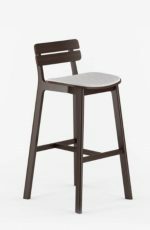 It’s not much, but people seem to notice a difference. 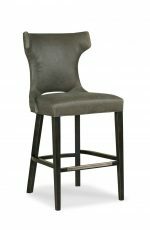 If you like to lean back, you might consider a tilt swivel stool. 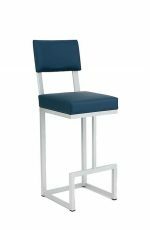 Non-swivel stools can be just as comfortable as swivel stools depending on the seat depth and width of the stool. 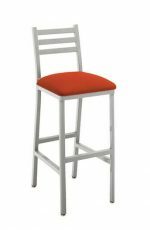 Tall people need a deeper seat than shorter people and wider individuals need more width. 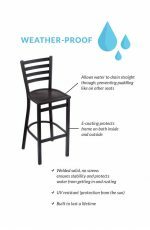 Every stool’s measurements are listed on its product page, including seat depth, seat width, and overall height. 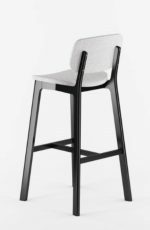 Seat depth is measured from the front of the seat to the back of the seat. 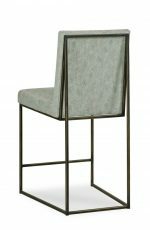 Seat width is measured from left to right. 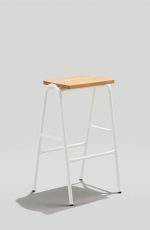 Overall height is measured from the floor to the top of the back. I hope we haven’t confused you with all of this information! 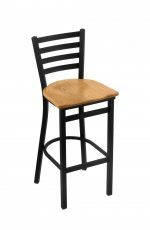 If you have any questions about whether a stool will fit you or your room, please get in touch with us. 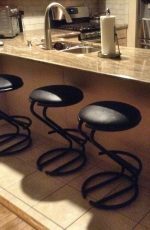 You can always call us at 610-737-5693 or email for free barstool expertise!